Nintendo Switch Family Showdown Coming to Disney | Nerd Much? Nintendo and Disney are teaming up to bring the gaming medium to your television set in a different way. 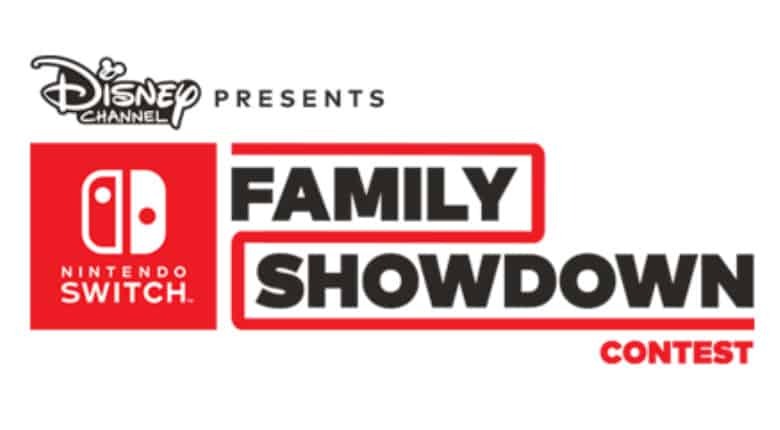 The two companies are joining forces to deliver Nintendo Switch Family Showdown, a game show program that will air on Disney networks. The show will pit four families against one another in “fun and friendly competition.” The families will be tasked with completing a series of challenges across various titles. Games specifically mentioned to be used in the show are Super Mario Odyssey, Mario Tennis Aces, and Just Dance 2018. Nintendo and Disney have rolled out an open casting call to all families interested in taking part in the show. You can sign up for a chance to be chosen here. You’re asked to submit a one-minute video showcasing your fandom, and likely to prove you’ll be good on television, I presume. Deadline for entries is July 2nd at 2:59 a.m. Eastern, which would be 11:59 p.m. of July 1st Pacific. The lucky winners will be flown out to Los Angeles for filming where they’ll have an opportunity “to meet their favorite Disney Channel stars and compete in the Nintendo Switch Family Showdown for a chance to win even more prizes.” Specifically mentioned are Nintendo Switch consoles, eShop cards, and controllers. The show will begin airing in August on The Disney Channel, Disney XD and the DisneyNow app. Nintendo Switch Family Showdown represents another example of Nintendo branching out and utilizing their renowned IPs. The gaming juggernaut has reportedly teamed with Universal Pictures to develop an animated Super Mario movie. And Nintendo already has a standing relationship with Universal as the two are working together to bring us their Super Nintendo World theme park in 2020. We’ll have to wait until August when the show premieres before we find out whether Nintendo Switch Family Showdown will be a dud or a summertime sensation.